Recent advances in next generation sequencing (NRG) have provided compelling evidence that endometrial cancers result from heterogeneous somatic mutations. These findings argue that a catalog of molecular aberrations that cause endometrial cancer is critical for the proper classification of these tumors and for developing novel and more effective targeted therapies against this disease. 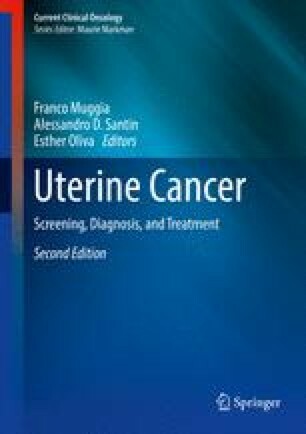 This chapter summarizes the recent advances made toward the elucidation of underlying pathway aberrations and the development of targeted therapies that exploit the unique molecular characteristics of endometrial cancers.